Ever wonder what’s for dessert when you are around Cubao? Then, here’s some mouth-watery goodies that’s waiting for you to try! 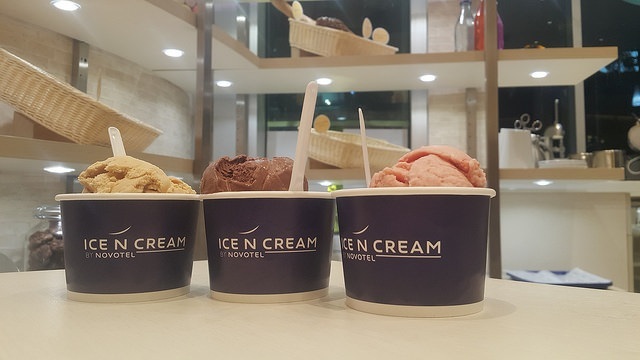 The Ice n’ cream located at the lobby of Novotel, beside Araneta Coliseum caters your sweet tooth needs. There aren’t that much from their menu but it’s more than enough to satisfy your cravings. A scoop of ice cream costs around 140-160 pesos depending on the flavor that you’ll gonna select. We decided to order two different scoops and it blended well! I ordered salted caramel and leche de almond while my friends go for the chocolate and strawberry flavors. We forgot to add the toppings but the flavors were already amazing! I honestly think adding toppings would just ruin the original taste. Here’s their unique menu! I am planning to try the alcoholic Say cheese cake next time too! The names and ingredients of their ice creams are mostly made out of Philippine delicacies and products. If you can’t decide based on the names, just simply check on their fridge! 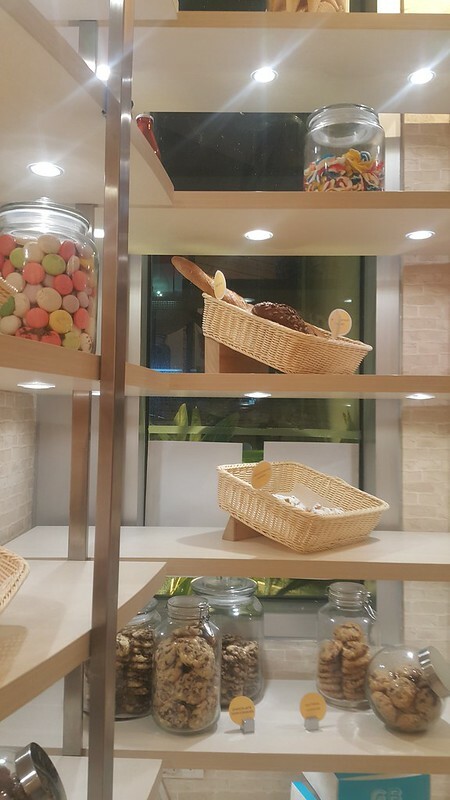 If you are wondering what other sweet stuffs you can find in this shop, then here’s some cookie, breads and macaroons for you! They also have a few selection for cakes. And here’s us taking selfies while waiting for our orders. 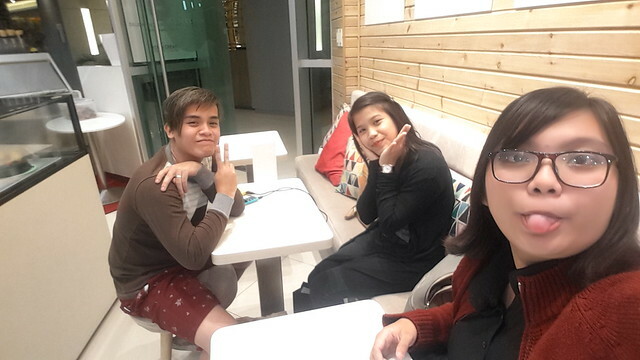 ♥ For those who plans to dine in, the area isn’t that big at all but the place is cozy as expected! This shop is located inside the hotel.